We are pleased to offer free standard shipping on all online orders over $49 within the continental United States! Additional shipping charges may apply if an order contains oversized or heavy items that require freight delivery via lift gate. In this event, one of our ALA-certified Customer Service team will contact you to inform you and collect payment for any additional charges before your items are shipped. Plus, we offer FREE GUARANTEED 2-DAY DELIVERY (in the continental USA) on select products. Orders received by 1:00pm Eastern Time Monday through Friday will be at your door in 2 business days (excludes weekends and holidays) or we’ll refund you 10% of the purchase price. Additional shipping charges may apply if an order contains oversize or heavy items that require freight delivery via lift gate. If that is the case, our ALA-certified Customer Service team will contact you to inform you about any additional charges before any items are shipped. We will not charge your credit card until shipment is confirmed. You may see an authorization "hold" on your credit card, but the payment will only be captured as the item(s) ship. The exception to this is items that are made to order/custom made and require longer lead times - in particular, Schonbek or some of our vendors who have made to order/custom made items. Please note: We do not recommend scheduling installation services prior to delivery of your order. We do not currently ship to locations outside of the U.S. On occasion, we may be able to make an exception for certain Savoy House orders. Please contact us with inquiries at 1-866-688-3562. Note that you will be responsible for any applicable taxes on international orders. All content on LightsOnline.com, including text and images, are the property of Lights Online or our partners, and protected by intellectual property laws. Although you may wish to print pages for your personal reference, it is illegal to reproduce any of this content for commercial purposes, alter the material, or broadcast the material on any other website or medium without permission from LightsOnline.com. We welcome inquiries and comments at all times. Submission of questions or comments constitutes a submission of all of the rights to these materials to LightsOnline.com to be used for any purpose and without compensation to the author. This Web site is provided on an as-is basis, and LightsOnline.com makes no representations or warranties of any kind, express or implied, as to the operation of this site or the information, content, materials or products included on this site. We are not responsible for any damage that results from using this site, including direct, indirect, incidental, punitive and consequential damages. LightsOnline.com cannot guarantee accuracy of all pricing posted on our Web site. In the event of a pricing discrepancy, we will contact you before your order is shipped. The laws of the State of Georgia govern these disclaimers and the terms and conditions set forth above without giving any effect to any principles of conflicts of law. By using this site, you agree to the terms and conditions above and hold LightsOnline.com harmless from any claims, damages, costs and expenses (including attorney's fees) arising from or related to your use of this site. 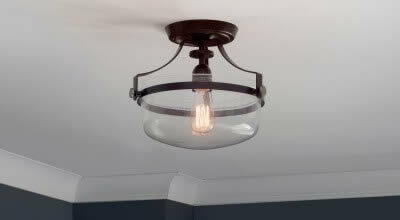 As a division of Progressive Lighting, Inc., LightsOnline.com is committed to maintaining your confidence and trust. We respect your privacy and are committed to protecting the personal information you provide online. This notice has been provided to explain how we collect and use personal information that you disclose to us. If you have any questions regarding this policy, please contact us through Customer Service. You can visit most of the pages on our site without ever disclosing your identity because we do not ask users to register or create an account with us in order to browse the site. We may track the Internet domain address from which you visit us and review this data for user trends and statistics, but individual site visitors remain anonymous unless, at some point, you tell us who you are. We use the personal information that you do provide about yourself for a number of internal purposes, such as confirming an order and maintaining a record of your online product purchases--information that is also available to you in our My Account area. We may use your personal information to send you catalogs and information about special promotions via your physical mailing address. If you provide us permission, we will also notify you of special promotions happening online or in our stores via email. Following CAN-SPAM and other applicable direct marketing laws and regulations, we will promptly honor any request to unsubscribe from our mailings and catalogs. We may combine the information you give us online, in our stores or through our catalogs, including personal information about you and your order. We may use that combined information to enhance and personalize your online shopping experience with us as well as to communicate with you both on and offline about our products and events that may be of interest to you. We may establish a business relationship with a limited number of persons or entities whom we believe trustworthy and adhere to strict privacy policies like those of Lights Online. In these instances it is possible that we might share and or cross-reference information, including contact information about you who may then provide you with product offerings that may be of interest to you. As a part of our on-going commitment to your privacy at Lights Online we support and adhere to the practices as stated by the Direct Marketing Association's Privacy Promise. We have agreed to provide customers with notice of their ability to opt out of information rental, sale, or exchange with other marketers; honor customers' requests and not share their contact information with other marketers; and honor customers' requests not to receive mail, telephone, or other solicitations. Yes. "Cookies" are small pieces of information that are stored by your browser on your computer's hard drive. Our cookies do not contain any personally identifying information, but they do enable us to provide tailored information from our web site and to store items in your shopping cart between visits. Most web browsers automatically accept cookies. However, you can change the settings in your browser to notify you when you receive a cookie, giving you the chance to decide whether to accept it. In addition to cookies, this site uses display advertising and remarketing with Google Analytics to advertise online. Third-party vendors, including Google, show our ads on sites across the Internet. This site and third-party vendors, including Google, use first-party cookies (such as the Google Analytics cookie) and third-party cookies (such as the DoubleClick cookie) together to inform, optimize and serve ads based on visitor's past visits to this website. Visitors can opt out of Google Analytics for Display Advertising and customize Google Display Network ads using the Ads Preferences Manager. The safety of children is, of course, very important to us. Children should always ask a parent or guardian for permission before sending personal information to anyone online. Progressive Lighting, Inc. does not knowingly collect or maintain information at our website from those who are under 18. At LightsOnline.com, we take security very seriously. We protect the sensitive information you give us, such as credit card numbers, by using Secure Sockets Layer (SSL) software, which encrypts the information you share with us. 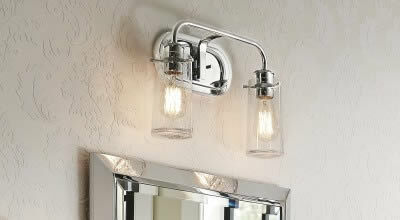 At LightsOnline.com, we hope our fixtures and home décor pieces make a beautiful addition to your home! With that being said, we know sometimes it takes an in-person view to know whether or not an item truly suits the style of your home. If for any reason your item isn’t the ideal fit for your home, we want to make it as easy as possible to return so your search for the perfect product can continue! To better serve you, we are proud to offer Hassle-Free Returns meaning return shipping costs are on the house for all approved returns. To qualify for a return, the product must be in “Like New” condition and your request should be made within our 30 day grace period following delivery. “Like New” condition means your product remains uninstalled, in its original packaging, free of defect or damage. As a courtesy to our customers, LightsOnline.com does not pass along any shipping charges, handling or restocking fees against your refund. Just let one of our certified lighting experts know the reason for your return and we promise to provide a hassle-free, pre-paid label for your item! Labels will typically be sent to the email address on file within 2 business days once your request is approved. During holiday seasons, it may take up to 5 business days. Please be sure to check your spam folder, since sometimes our emails like to sneak in there! We understand life can be chaotic, so if you realize after 30 days your product isn't quite the perfect fit for your home and it meets “Like New” eligibility conditions as listed above, please do still contact us! We recently started an Extended Return as part of our Store Credit Program allowing us to extend return approvals beyond 30 days based on your situation, meaning eligibility is determined on a request-by-request basis. Hassle-free is as easy as 1-2-3! 1) CONTACT LIGHTS ONLINE Call, email or LiveChat one of our certified lighting experts with your order #, item, quantity, reason for your return, whether or not the item is in “Like New” condition, and refund method. We can be reached at 1-866-688-3562 or [email protected]; for LiveChat you can chat with us during business hours (Monday-Friday from 9am-4pm) or even send us a message if we are away! 2) AWAIT HASSLE-FREE RETURN LABEL Your request will then be forwarded to our Returns Department, who will in turn verify the item(s), quantities and condition of your desired return. Once approved, you can expect your pre-paid return label with return instructions within 2 business days. 3) RETURN YOUR ITEM Simply affix the hassle-free return label on the outside of the box and either drop it off at a local FedEx facility or call 1-800-GO-FEDEX with your tracking # to arrange pick up, whichever option is more convenient. Please note: While we are thrilled to pass along volume and close out savings to our customers, please understand we cannot accept returns for clearance items, custom made items, or unauthorized returns. Additionally, we make every effort to quickly forward along a hassle-free labels which include your Return Authorization Code as well as pertinent details to ensure your refund is processed promptly once received and inspected by our warehouse! If items are returned or refused at delivery without prior authorization and/or do not adhere to our “Like New” conditions as defined above, your refund may be subject to handling or non-compliance fees and/or may be issued as store credit. Once your returned item is received by our warehouse, it will undergo inspection to ensure it meets the “Like New” condition (uninstalled, in original packaging, free of defect or damage). After your item passes inspection, our credit department is notified so we can promptly issue your refund in full! Please note, for return requests within 30 days of delivery, your refund will be issued to the original payment for your purchase. For example, if you paid with a credit card, the refund will be automatically applied to the original card. If you used PayPal to check out, it will be refunded back to your PayPal account. Once your refund is completed, you will receive an email with your transaction details. If your return request was approved as part of our Store Credit Program, your refund will be issued in the form of store credit. This store credit will be available to use as a payment option towards any future purchase at check out. Please note, you must be logged into your customer account to access your store credit. If you did not check out using a customer account for your original purchase, we will automatically create one for you at the time your store credit is issued under the email address on your original order. If you’ve already placed your order as a guest, you are still welcome to earn Lights Online’s Preferred Customer status! A customer account can be created for you to join the ranks, however, please note at this time we are unable to link previous orders to your new account. 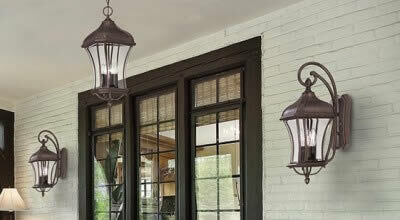 At LightsOnline.com, we strive to push the envelope by constantly evolving to offer you the best possible experience when it comes to furnishing your home with lighting or home décor. 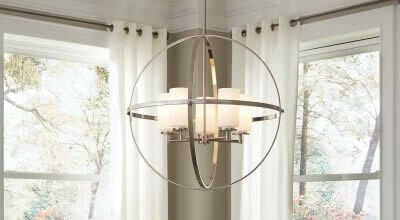 For us, your purchase isn’t just a product, but rather a solution to your lighting and home décor needs. When it comes to online purchases, returns are inevitable. We already work hard to make the return process hassle-free for every interaction, but we also want to give a little extra to our Preferred customers. Therefore, while this is unheard of in our industry, as an incentive bonus specifically for our Preferred customers, LightsOnline.com is offering a 110% refund to Store Credit for return requests within 30 days of receipt! That means if you choose store credit as your refund method, and your purchase total was $100, we will give you store credit in the amount of $110 on top of our hassle-free return labels. Please note: your item must ship within 5 days of receipt of your label to maintain eligibility for the additional 10% refund bonus. Our 110% bonus is applicable for approved returns only [please see eligibility points under our Hassle-Free Returns section]. Additionally, the 10% incentive is available for the originating purchase only. Maximum incentive payout not to exceed $600 per account. Please open and inspect your item(s) within 30 days of receipt. If you received products that have manufacturer's defects or have been damaged in transit, please contact us at 1-866-688-3562 or e-mail us. We will do everything possible to make sure that the problem is resolved quickly and to your satisfaction. For small packages which have been damaged during shipment, please notify us within 48 hours so that we may file a claim with UPS or FedEx on your behalf. Larger packages that have been delivered via common freight carriers and show visible damage should have that information noted on the bill of landing or receipt. 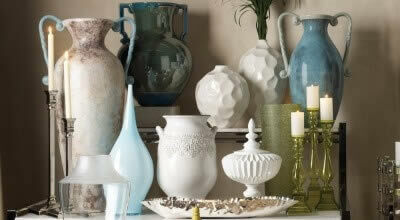 Defective or damaged items will be replaced or repaired at our discretion. If a fixture is delivered with broken glass, please notify us immediately and replacement glass will be shipped to you at no additional expense. We cannot guarantee that all replacement parts will be in stock. This is especially true for clearance/ discontinued items, so it is critical that you contact us as soon as possible to report damage. If there is no replacement part available, you will be notified and given the option of returning the item for a full refund. Please allow 5-7 business days for your replacement to ship. Please note that we can only provide replacement parts for online customers who have received damaged items. We cannot issue replacements for purchases made in-store, or through any other retailer. If you would like to cancel an order (or part of an order) that has not been shipped or is on backorder, please e-mail customer service or call us toll free at 1-866-688-3562. We will submit a request to the manufacturer and e-mail you an acknowledgement of cancellation. If for some reason we are unable to cancel your order, we will contact you via email with that information. If your order has already shipped at the time you wish to cancel, we will treat it as a return. Orders with merchandise included in our free shipping promotion may have our initial shipping costs deducted from the refund, unless placing a new order at time of return. We will match any published Internet price from another authorized dealer. If you find an advertised price online that is lower than ours, be sure to bookmark the page so that we can verify it. If an item goes on sale after you've already purchased it, we will honor the sale price. Call us within 30 days of your original purchase and we will refund you the difference. Please note that clearance items are not eligible. Also, note that the price guarantee does not apply to any advertised "inside" or "preferred customer" discounts - only the advertised, in-stock, public price. We cannot match prices from Ambience, Minka Lavery, Minka-Aire, George Kovacs, Metropolitan, The Great Outdoors, online liquidation sites, auction sites or unauthorized dealers. If you should have any questions about price matching, feel free to contact us. We do not charge sales tax, except in these states: Alabama, California, Colorado, Georgia, Illinois, Indiana, Iowa, Kentucky, Louisiana, Maryland, Michigan, Minnesota, New Jersey, North Carolina, Oklahoma, Pennsylvania, South Carolina, Texas, Utah, Washington, Wisconsin. (Updated 1/3/19, subject to change). 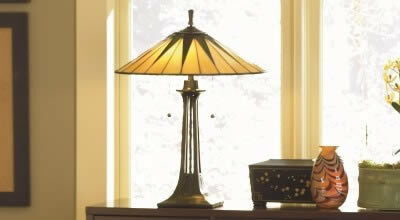 Lights Online will match published Internet prices from another authorized dealer plus 10% of the difference. If you find an advertised (shipped) price online that is lower than ours, be sure to bookmark the page so that we can verify. If an item goes on sale after you've already purchased it, we will honor the sale price. Call us within 30 days of your original purchase and we will refund you the difference. Please note that clearance items are not eligible. The price guarantee does not apply to any advertised "inside" or "preferred customer" discounts - only the advertised, in-stock, public price. We cannot match prices from Minka Lavery, George Kovacs, Metropolitan, The Great Outdoors, online liquidation sites (e.g. Overstock.com), auction sites or unauthorized dealers.